Arabic media coverage of U.S. elections has made a marked shift recently. Joseph Braude writes in the Jewish magazine Tablet that it used to be standard for Arab media to treat Republicans and Democrats as more or less that same, and to regard U.S. elections as controlled by Jews. 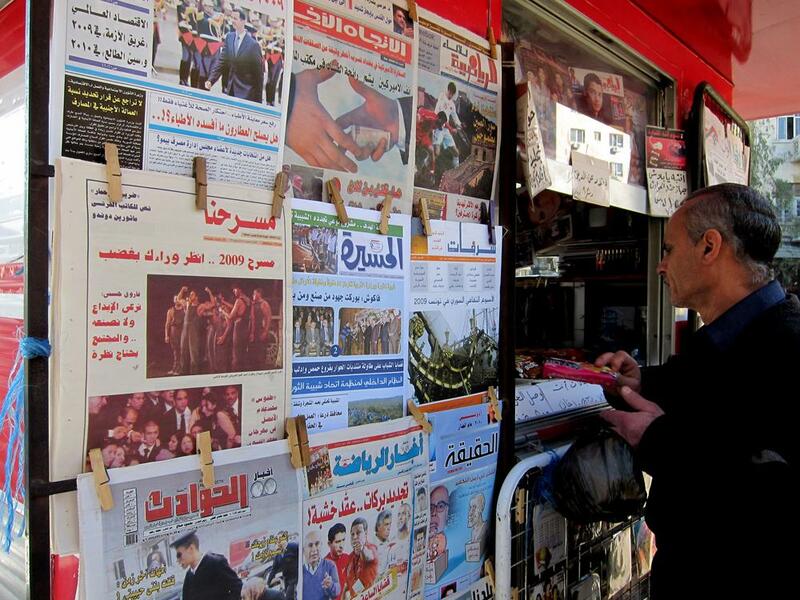 But due to a number of factors - not least of which is the Arab Spring - the media coverage is changing. "When you've liberated your country - overthrown a dictator - and you have elections yourself, then you can see and follow elections that are happening elsewhere," Braude told Here & Now's Robin Young. Thousands of young people in the Arab world live tweeted the U.S. presidential debates, Braude said, and "almost all of them seemed to recognize there were serious differences between the two candidates, especially when it comes to foreign policy." But even before this shift, the Arab elite knew U.S. elections were not rigged, and that they could even influence the elections, according to Braude. "There's a history of leaders in the Gulf trying - and perhaps succeeding - in impacting U.S. elections," Braude said. "For example, Saudis have a historic and very open friendship with the Bush family. It goes back to the days when George H. W. Bush helped liberated Kuwait. In 2004, they take credit for having helped George W. Bush by lowering the price of oil in the weeks before the election." But there are other interests in play as well. "The Russian government is responsible for some of the more anti-American material you see in the Arab media," Braude said. "[The] Iranian government, which also has its own Arabic TV network, is making similar arguments and stoking anti-Americanism in the Arab world." Joseph Braude, Middle East specialist, who broadcasts a weekly commentary in Arabic on Morocco’s Radio MED network. His latest book is "The Honored Dead: A Story of Friendship, Murder, and the Search for Truth in the Arab World." He tweets @josephbraude. This segment aired on October 24, 2012.